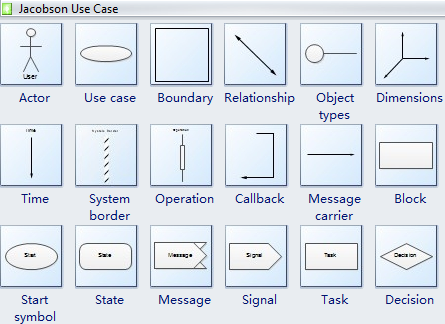 Edraw contains special shapes and setting for creating Jacobson's Use Case Diagrams. Use case diagrams illustrate how the outside world interacts with elements of the application system. In Edraw Professional, the Jacobson's Use Case template and shapes are in the Software folder. Jacobson's Use Case Symbols include the Jacobson's analysis model and Jacobson's design model. Jacobson's analysis model defines three types of objects in a system: interface objects, entity objects, and control objects. Jacobson's design model shows how the system behaves. There are two types of diagrams under this model: interaction diagrams and state transition diagrams. Interaction diagrams are similar to UML's sequence diagrams. State transition diagrams are like UML state charts, but Jacobson also employs a number of unique symbols listed below. Ivar Jacobson's Object-Oriented Software Engineering (OOSE) is one of the precursors to the more modern Unified Modeling Language (UML). 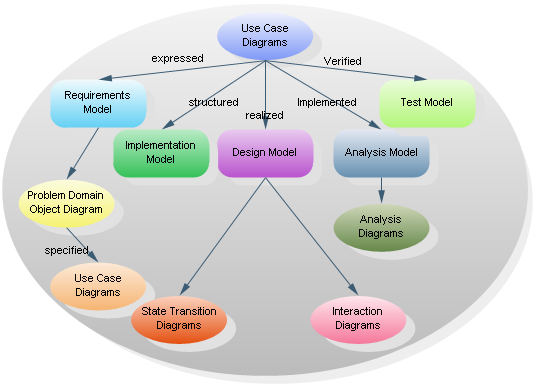 OOSE includes a requirements, an analysis, a design, an implementation, and a testing model. 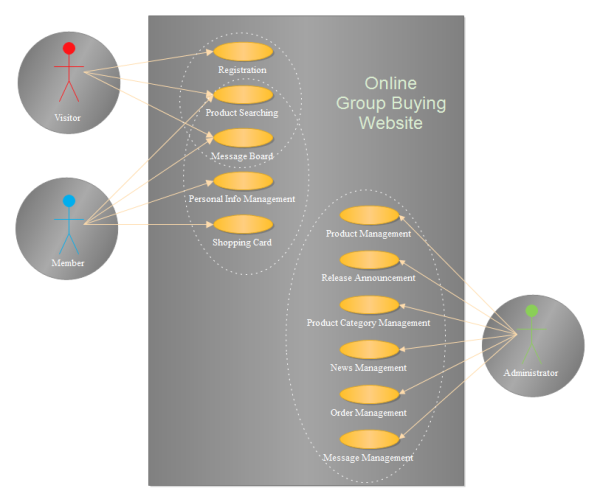 The relationship between the central use case diagram and the various models is illustrated below.